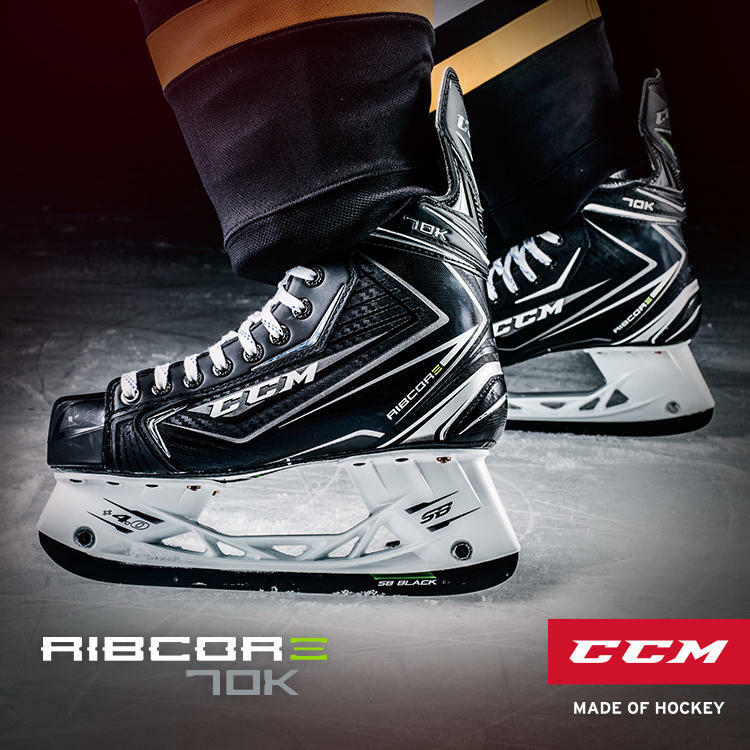 Think you know all there is to know about the CCM Ribcor range? It’s time to think again. 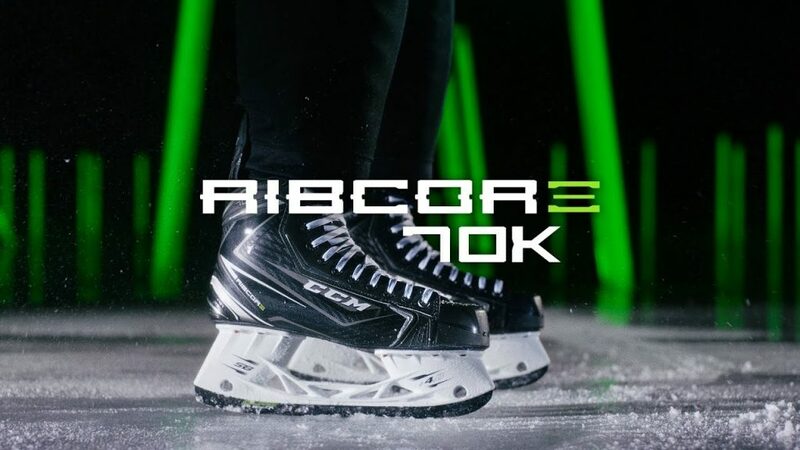 For a long time, Ribcors have felt like a bit of an underdog – and for good reason – they’ve always been a heavy skate and personally, I never felt totally secure in them. I’m not the only person to note that there was play around the heel and mid-section of the foot, even with the pump system they’ve previously built in. We tested a size 8 in a D width fit. On our digital scales they weigh in at 794 grams – which is a massive improvement on the Ribcor 50ks – which tipped the scales at around 90g grams heavier when we reviewed them back in 2016! This is very definitely a slimmed down Ribcor and could well put the range back in the spotlight as a high-end pro level skate. The Ribcor 70k looks great. Pulling the skate on gives the initial impression of stiffness – and a noticeable contour around the ankle that’s comfortable and secure. 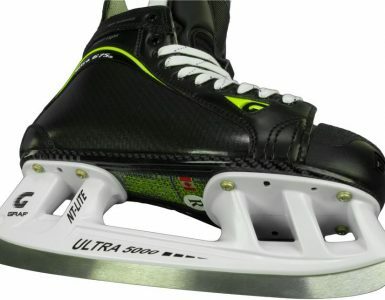 The carbon composite sole looks the business and my first outing on the ice proved that this is a stiff, light, solid fitting and very responsive skate. 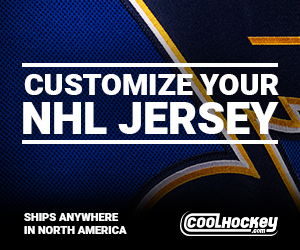 Warranty: Skate – 90 days. Blades – 1 year. For a skate that’s previously been known to be a bit weighty it was a surprise to find myself wearing something that was so light and responsive. That cumbersome feel that you get when a skate is over heavy was nowhere to be seen. In fact, in terms of responsiveness, the 70k felt up there with one-piece carbon boots like the Jetspeed FT1 – and it’s only fractionally heavier, which is remarkable for a traditionally built boot. It’s worth noting that the pump that was built in to previous Ribcor models is gone. Instead, the heel fit is a dream from the word go. The multi-density foam that’s been anatomically contoured fitted me beautifully – and that translated to power, agility and confidence on the ice. Out of interest, I had a friend with a broader ankle put the skate on too – thinking it would be uncomfortable for him – but no, it seems the heel and ankle is created in such a way that it’s forgiving for all kinds of foot – while offering an exceptionally secure fit. Goodbye pump, hello awesome fit. 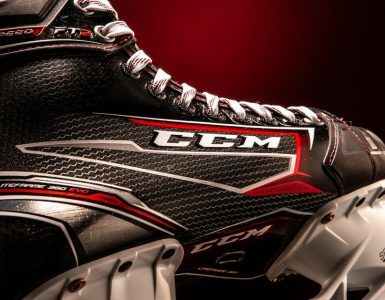 It would be easy to think that CCM have redeveloped this skate with an eye just on weight – but that’s not the case. The Ribcor 70k offers more than just a svelte design. 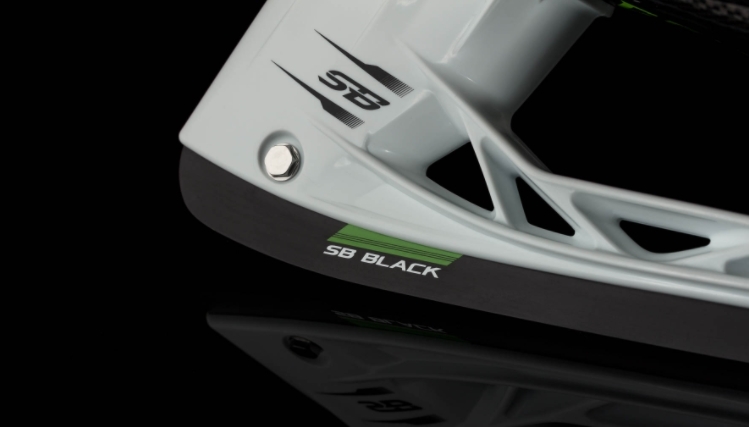 The FlexFrame technology that underpins the skate is designed to let the boot flex forward slightly – and with a snug ankle fit, that can happen where your ankle naturally flexes. The result is a super stuff boot that doesn’t hinder you when you want to put the power down and lean forward. 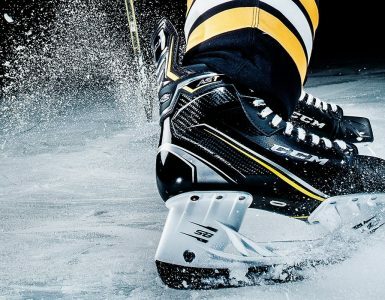 In short, if you’ve ever felt that a skate doesn’t quite give you the range of movement you’d like while still offering an exceptional power delivery – then the Ribcor is going to be well worth a look. You might be starting to think this review is just a list of things that have been stripped off the Ribcor range – but stick with me for a second! The Lacelock feature that’s graced Ribcors for a while now definitely split opinion. For some, it offered a bit of flexibility, the chance to get your upper laces tight while allowing a bit of movement across the top of your foot. 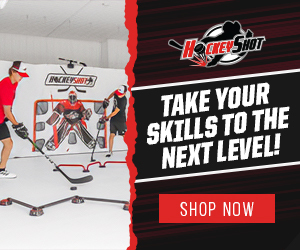 Personally, I didn’t like it – it made getting your skates on a hassle and I’m led to believe it even put a couple of pros off wearing the range. Clearly, the FlexFrame technology offers the movement that you once would have had to tailor yourself with your laces – but also, the mouldable tongue insert allows you to customise the fit across your upper foot. Tight laces, total confidence – and anatomical movement that’s enabled by specialist technology – not just your laces. I have to confess, I’m a massive fan of the SpeedBlade 4.0 and Speedblade Black combo – that slightly increased height seems to translate to a depth of turn that is exactly right for me. It’s worth noting that the runners are mounted on a carbon outsole too – so every bit of the power that hits the boot goes straight through that ultra-stiff sole, through the SpeedBlades and on to the ice. 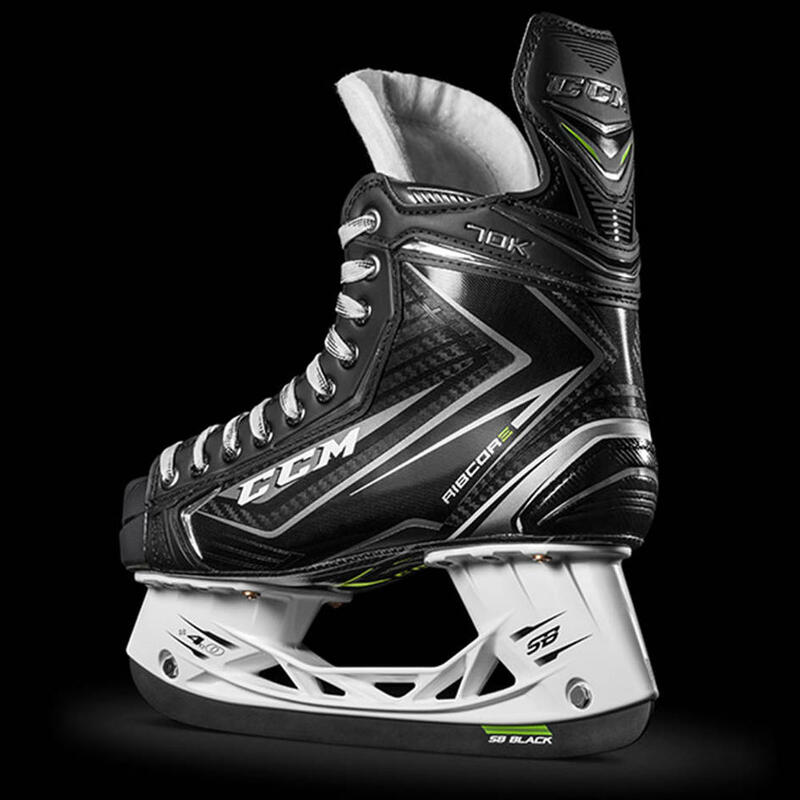 CCM haven’t cut any corners here, the boot is designed for maximum power transfer – and that’s exactly what you get when you explode away from a standing start. I’m seriously impressed with the Ribcor 70ks – but if you’d told me I was going to be saying that 18 months ago I’d have laughed! Don’t be fooled by the name or your perception of the range, this is an entirely new boot with innovative technology that puts it up there with the very best boots you can buy. It’s light, it’s stuff, it’s comfortable – and ultimately, the fit inspires a massive amount of confidence, whatever your foot profile or play style. The 70k is going to win back a lot of people who’d written the range off as heavy and sloppy fitting. I’d be amazed if you don’t fall in the love with the secure feel of the Ribcor 70k.